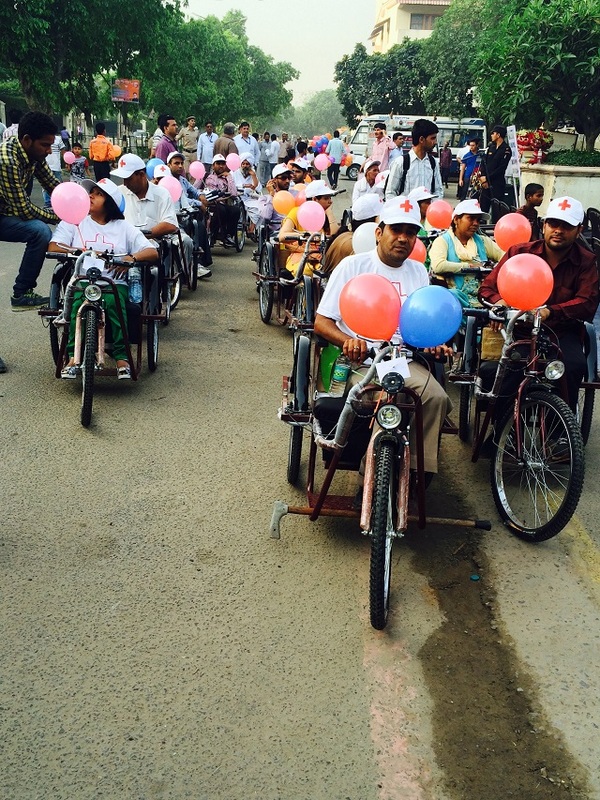 Gurgaon, India recently celebrated “Inclusive Raahgiri Day,” focusing on children with disabilities. Photo by Ajay Gautam. 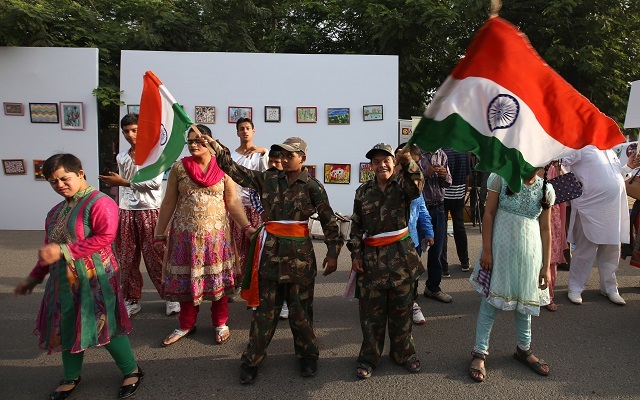 Launched in Gurgaon, India in 2013, Raahgiri Day closes down city streets to cars, bringing people of all ages out to walk, bike, make music, and socialize. 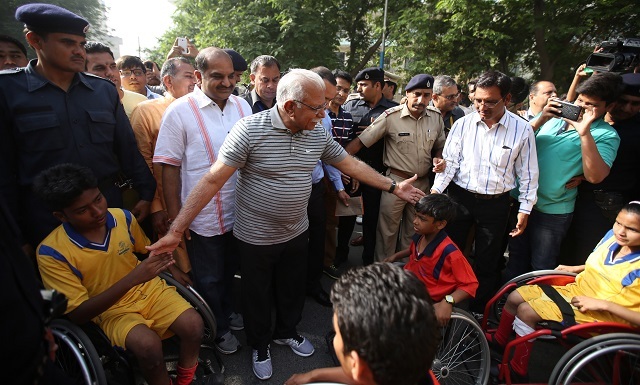 Recently, India’s Ministry of Social Justice and Empowerment, along with the Municipal Corporation Gurgaon (MCG) and Gurgaon Police, celebrated a special edition of Raahgiri Day in Gurgaon dedicated to people with disabilities. As many as 15,000 local residents, including about 2000 people with varying physical and mental disabilities came together to participate in an “Inclusive Raahgiri”—a day dedicated to celebrating diversity. “Inclusive Raahgiri Day was all about demonstrating that those born handicapped, whether physical or mental, are no less than those of us blessed with the best of health”, said one of the participants, summing up the whole event. Raahgiri has grown to be about diversity and inclusivity, and serves as platform for engaging people on important topics. Photo by Ajay Gautam. Some of the events included basketball and dancing by students in wheelchairs, cycling and football by students who are blinds, as well as street plays, art therapy, golf, singing, and cultural performances by students with varying disabilities. With growing participation from children and their parents, Raahgiri is a sign of the public’s recognition that every child deserves access to safe outdoors. Photo by Ajay Gautam. Children and adults with special needs shared the same space. More than 30 prominent NGOs that work with people with disabilities participated in the event. Elected officials brave the high temperatures to comes out in support of a good cause. Photo by Ajay Gautam. 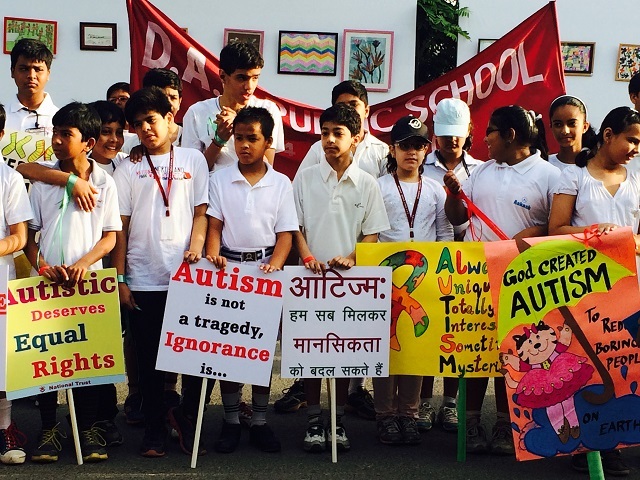 Raahgiri’s accessible and inclusive message is apparent, as people from all walks of life came to participate. 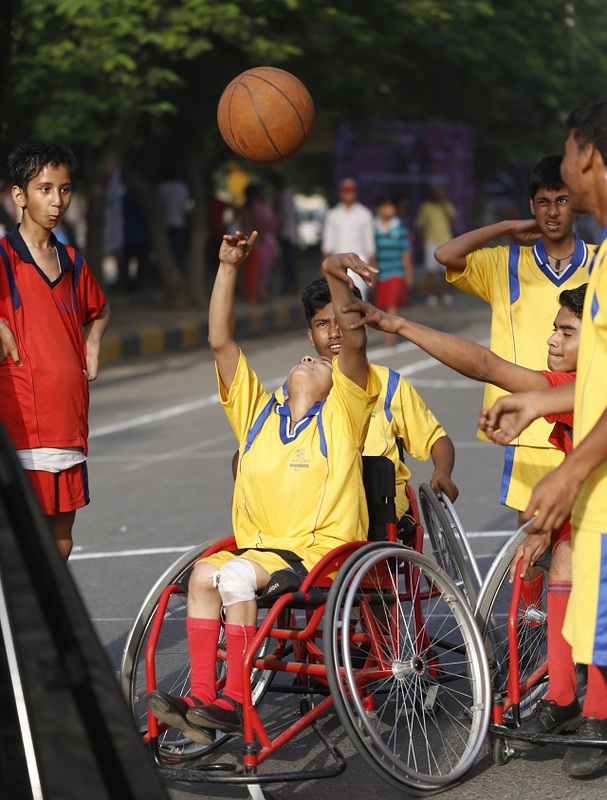 Disability doesn’t limit their potential and roads shouldn’t either. Photo by Kanika Jindal/EMBARQ India. 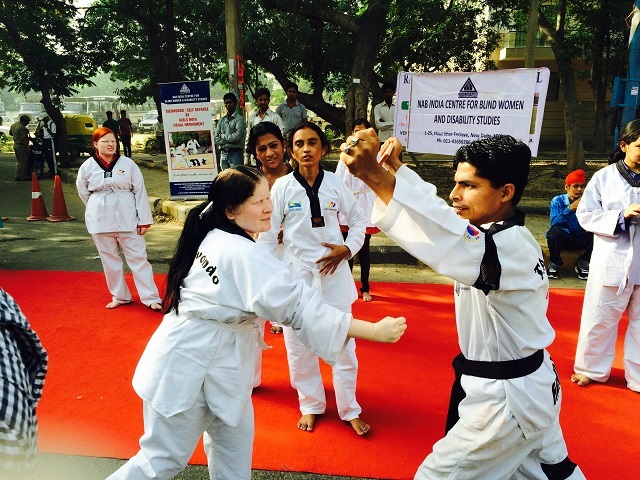 Girls who are blind practice Judo. Photo by Kanika Jindal/EMBARQ India. 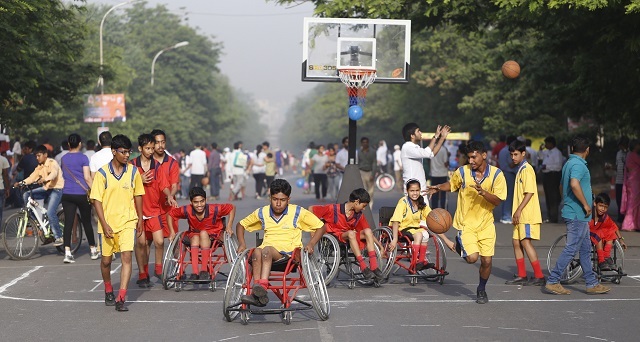 Participant and accessibility consultant Ms. Anjlee Agarwal said “Raahgiri Day has given massive visibility to the journey of Inclusion and Accessibility for people with disabilities in Delhi and Gurgaon and it will add on with rippling effects in other cities”. Kids put on a play as police offices watch. Photo by Kanika Jindal/EMBARQ India. 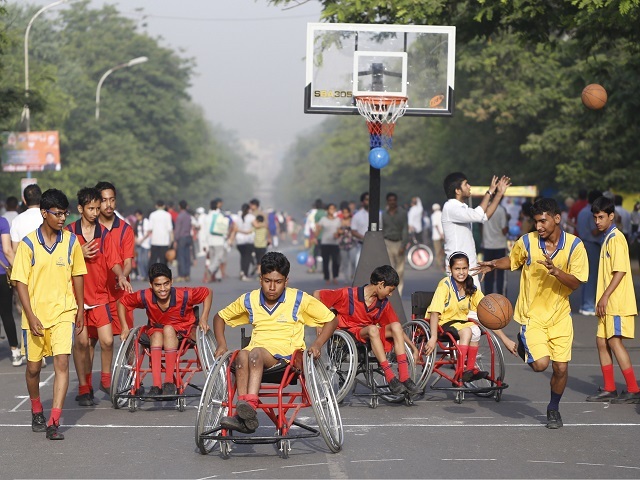 Raising awareness and improving accessibility go hand in hand for all those who participated at Raahgiri Gurgaon. Photo by Kanika Jindal/EMBARQ India. 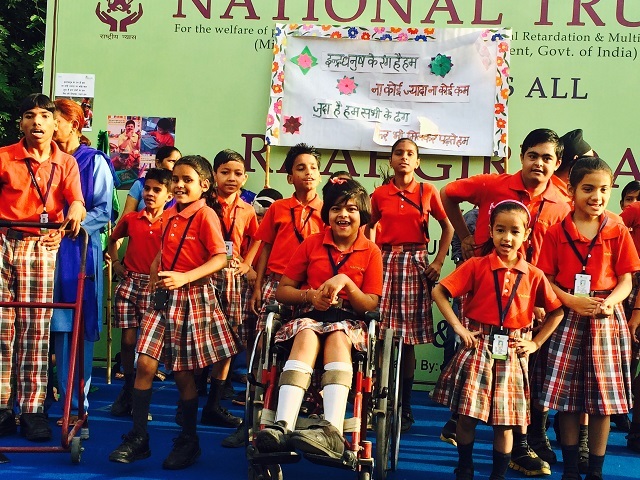 In addition to building communal awareness of the need to include people with disabilities, the ‘Inclusive Raahgiri Day’ emphasized the fact that people with disabilities have talent and passion that should be embraced. “Over the years as a special needs parent I have seen people’s indifferent looks and attitude. 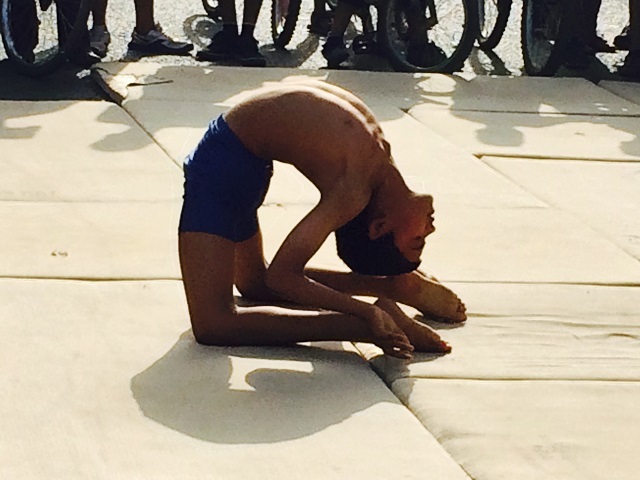 But today I saw a change, a hope; a new beginning….for inclusive India!” said the parent of one of the participants. A group of children singing. Photo by Kanika Jindal. One of Raahgiri Day’s core objectives is “Inclusive Development,” along with road safety, clean air, and physical activity. Many urban areas in India are becoming very exclusive, as there is no formal mechanism facilitating interaction between various cross sections of society. 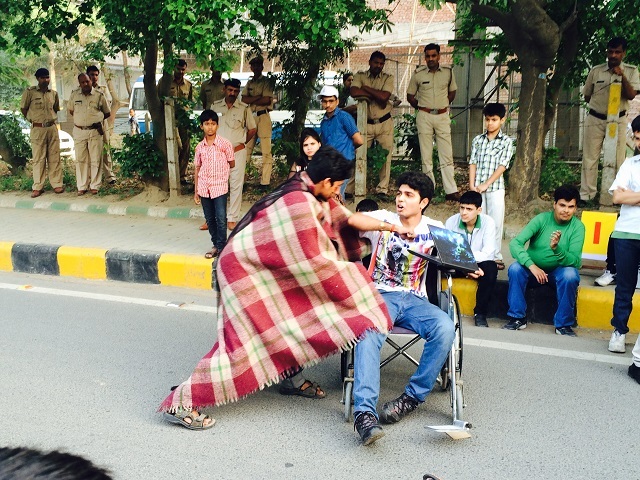 This edition of Raahgiri Day was inclusive in its true sense. It attracted people from all walks of life—those who can afford condominiums, to those in nearby villages and slums, to children with all a variety of disabilities. Everyone shared the stage at Raahgiri Day. Raahgiri Day is mobilizing and inspiring momentous change that hopefully will enable a new level of consciousness in the city and lead to a greater recognition of the needs of different people. See more pictures from Mumbai’s Equal Streets events below, and on Facebook, and keep up with the events on Twitter.